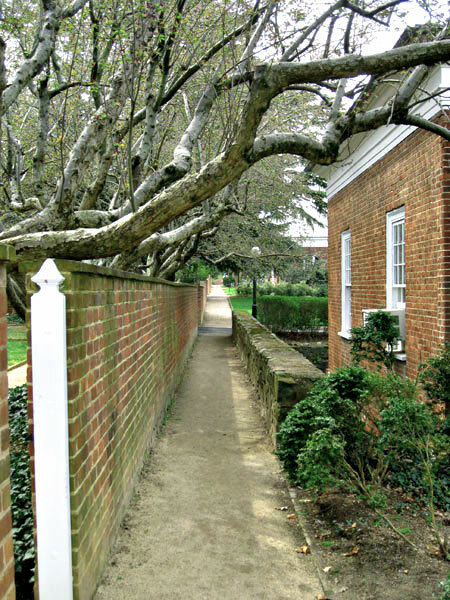 Thomas Jefferson’s design for the Academical Village demarcated garden spaces with curving walls behind the ten lawn pavilions. 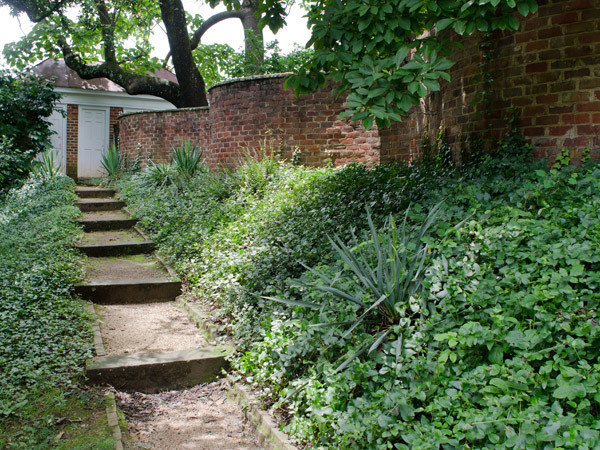 Though intended to be private pleasure gardens, in practice the spaces were largely filled with slave quarters, smokehouses, sheds, animal pens, and vegetable patches, except for a formal boxwood garden planted by Professor Schele de Vere in 1845. 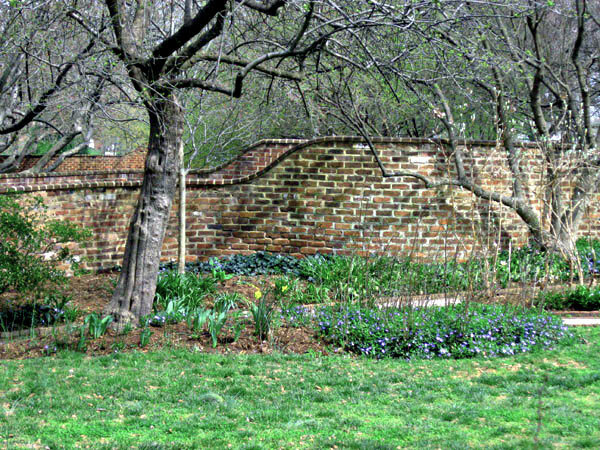 By 1873, ancillary structures were removed, drainage and water supplies upgraded, and the gardens transformed to the pleasure grounds that Jefferson intended. In 1913, Warren Manning designed four of the east pavilion gardens; only the lower tier of Pavilion X still contains his work. 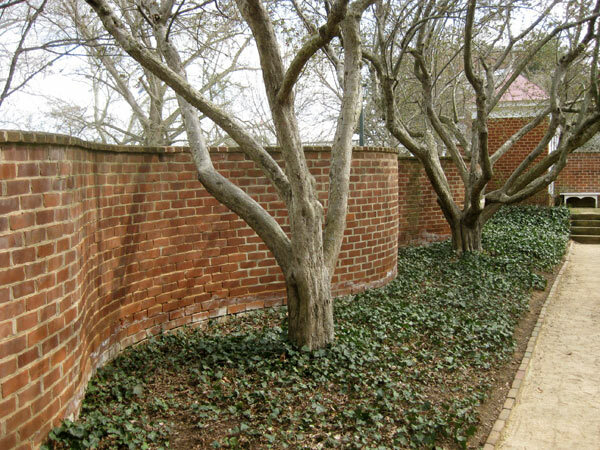 In 1916, the Albemarle Garden Club restored the Schele de Vere garden, and in 1948, the Garden Club of Virginia commissioned Alden Hopkins to design all ten of the Colonial Revival gardens and restore historic structures. Hopkins completed the west gardens, which were dedicated in 1952. 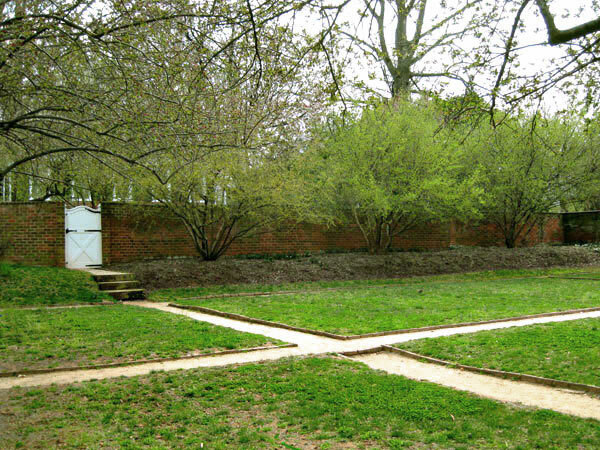 Following his death in 1960, Donald Parker and Ralph Griswold undertook design for the east gardens, completed in 1965. 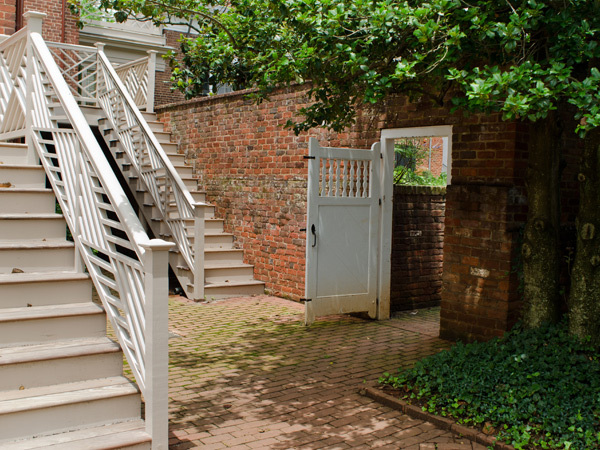 Through these projects, Jefferson’s brick serpentine walls and five privies were rebuilt and white-painted wooden benches and gates with Chippendale railings introduced. 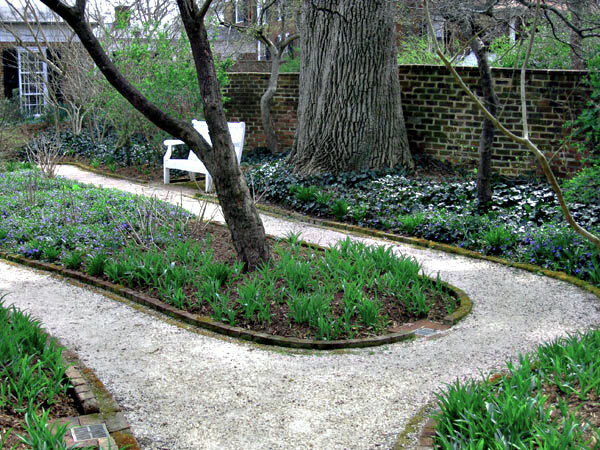 The garden designs are diverse, ranging from Renaissance-derived formal elements to naturalistic designs typical of 18th-century English parks. 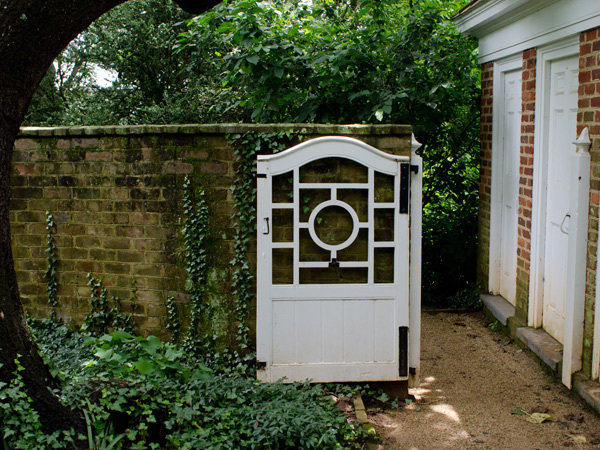 The gardens incorporate mature shade trees, large shrubs, and herbaceous borders planted with exotic varietals, native species, and plants that reflect 18th-century flora used by Jefferson. 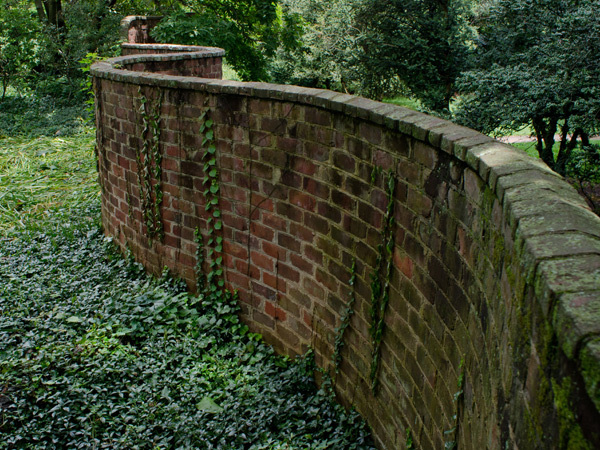 The gardens are part of the University of Virginia Historic District, which was named a UNESCO World Heritage Site in 1987.